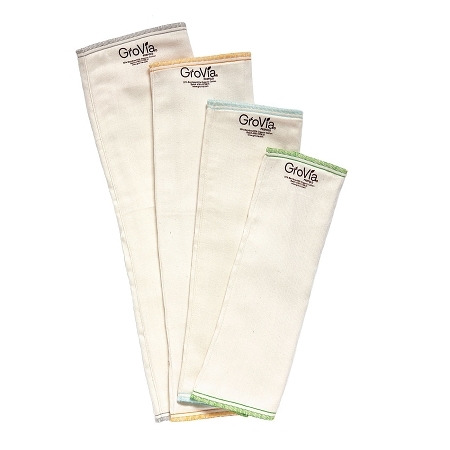 GroVia Bamboo Prefolds can be used in a GroVia shell, cover or other diaper! Please note: the makers of GroVia do not allow us to ship their products outside of the U.S. I bought these prefolds on a whim and they are amazing! We ran out of our normal bedtime solution (GroVia ONE) and used one of these with a hemp booster inside a GroVia hybrid shell. My son slept for 11.5 hours which 1- was amazing and 2- was even more amazing because we had no leaks! They are a little bulkier than their snap in soakers but since we were using it for bedtime, it wasn't a big deal :) We used a size 2 on my 18 month old soon. Pretty amazing how absorbent they are. Part of our overnight solution! We use these in a flip cover with a geffen quick absorber wrapped up in the middle and it is our bulletproof overnight solution with our heavy wetter. Definitely recommend. My 14 month old all of sudden became a heavy wetter. We just got these and they have been great! We have had no leaks when stuffed in our pocket diapers. Oh goodness! Could I love these any more than I do? 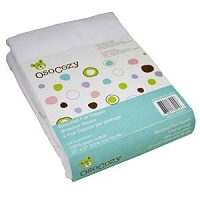 They are hands down the softest prefold that I've tried. After several washes, they are nice and stretchy and are so perfect for my (not so) little fat baby's legs. 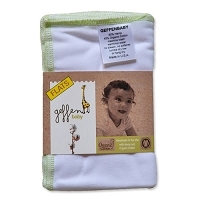 I use them in many different covers, both trifolded and diaper folded, always very absorbent and the perfect fit. They are on my list of "must. have. more"